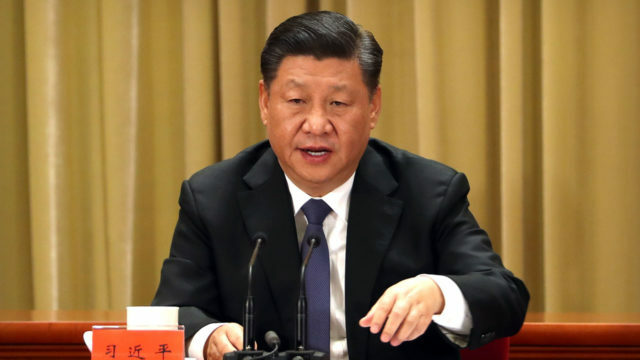 Chinese President Xi Jinping said Tuesday that China and Europe were “advancing together” but that the two trading blocs needed to overcome “suspicions”. “Of course there are differences and competition, but it’s positive competition,” Xi told a press conference in Paris with the leaders of France, Germany and the European Commission. Xi was speaking on the third day of a France visit dominated by concerns over China’s massive investments on the continent, which are being built up through a series of bilateral deals. French President Emmanuel Macron urged his Chinese counterpart to “respect the unity of the European Union” and called for an “exemplary relationship” between Europe and China during the joint press conference. Macron, German Chancellor Angela Merkel and EU Commission chief Jean-Claude Juncker all labelled China a “rival”, and Merkel and Juncker urged the Asian giant to give the EU the same market access as it afforded Chinese companies. Juncker said that labelling China a rival was meant as a “compliment” to the country. Speaking ahead of a EU-China summit in Brussels on April 9, he also called for a more balanced relationship. “European businesses must see the openness in China” that Chinese companies enjoyed on the continent, he said.